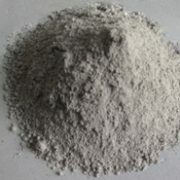 High Strength Non-shrink Grout - MUHU (China) Co., Ltd.
CGM-1P is made of cement, graininess aggregate and other admixture. It is a hydrated compound which only needs to be mixed with a certain amount of water before applying. It complies with the standard of JC/T 986-2005. Self-fluidity: after pouring the grout into equipment foundation, all gaps and rooms could be filled without vibration. Early and high strength: compressive strength can reach up to 50Mpa in 1 day while equipments may be operated in 1 day after grouting installation. The strength can be as high as 70Mpa after 28 days. Micro expansion: to ensure equipment touch firmly with foundation. High durability: no significant change after 200 million fatigue tests and 50 freezing & thawing cycle tests. Oil-seepage resistance: compressive strength would be improved more than 10% after 30 days in the engine oil. Non-chloride: no corrosion to the reinforcing metal bars. Workable under low or negative temperature: it can be applied in minus 20 degree C, which effectively resolved the construction issues in winter time. 1. Surface treatment: make sure the substrate surface clean, rough and in moisture before grouting. 2. 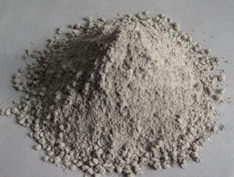 Batching and Mixing: Both mechanical and manually mixing are acceptable. Mechanical mixing is recommended. Commonly, mix 100kg CGM-1P with 13kg water. It is important to make sure long enough stirring time. Mechanically, it needs 1-2 minutes. Otherwise, the fluidity of the grout will be undermined. 3. Grouting method: pouring the mixed grouts into the designed mould. To have a better compact, you may slightly hit the mould. The grouting surface should be covered with moisture layer within 30 minutes to avoid cracks. The mould may be removed in 1 to 7 days. 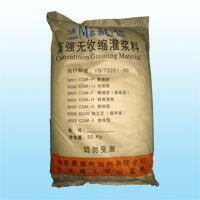 The general dosage is 2500kg per cubic meter. 1. CGM-1P mixing place should be as close as possible to the construction site. 2. The mixing quantity is up to the consumption amount to ensure it can be used up within 40 minutes. 3. 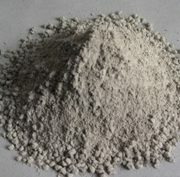 No other admixtures are allowed when it is used on site. 4. Pouring process should be continuous while grouting and trying to get the job done in the shortest time. 5. The addition of excessive water will affect the grouting performance. 2. The secondary grouting for the joint of reinforced structure and concrete. 3. Speed repairing for equipment foundation, anchors, road, floor, and railway foundation. 4. Grouting under low and minus temperatures. 5. Concrete repairing and fixing. CGM-1P is packed in 50kg multi-layer paper bag. The shelf life is one year in original sealed package while stored in dry condition. Humidity would reduce the shelf life.